ATLANTA (August 4, 2018) – Registration is filling up quickly for the second annual Connect Orthodoxy Young Adult Conference! 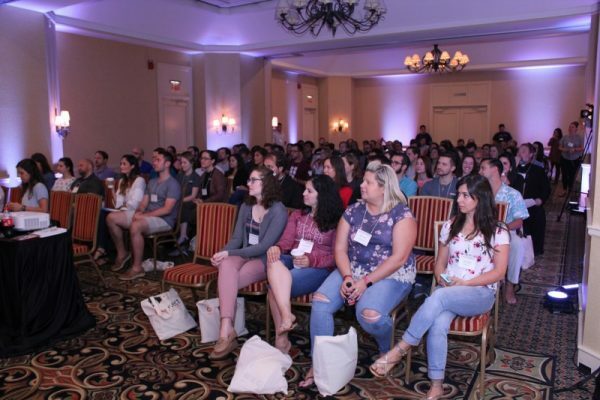 With only two months before registration closes, Orthodox Christian young adults from more than 20 U.S. states and two Canadian provinces are making travel plans to visit Atlanta over the weekend of October 5-7. Connect is an initiative focused on providing young adults ages 21-39 an avenue to form deeper relationships with Christ, the church and each other. Through keynote addresses, breakout sessions and opportunities for fellowship in service and social settings led by pan-Orthodox leaders, conference attendees are surrounded by opportunities to learn more about themselves and Orthodoxy. “We started planning this effort out of our own need for more opportunities to connect with our churches and other Orthodox Christian young adults. But, through God’s grace, our inaugural conference kicked off a movement that, thanks to Him, seems to be energizing a generation of Orthodox faithful. We are humbled by its success and inspired by the experiences we and all of the attendees had last year,” Callie Corley noted. Patrick Cardine, pastor at St. Patrick Orthodox Church in Bealeton, Va.
Scott Davenport, former regional business development manager for Island Def Jam and Geffen Records and parish council member at Annunciation Cathedral in Atlanta, Ga.
Kyriaki FitzGerald, adjunct professor of theology at Holy Cross Greek Orthodox School of Theology in Brookline, Ma. Stephen Freeman, pastor at St. Anne Orthodox Church in Oak Ridge, Tn. Dn. Stephen Muse, director of Counselor Training and the Clergy-in-Kairos program for the Pastoral Institute, Inc. in Columbus, Ga.
Connect 2018 will be held at Sheraton Atlanta in the heart of the city, putting conference goers just blocks from iconic attractions such as Centennial Park, The Center for Civil and Human Rights and the Georgia Aquarium. For more information, visit www.connectorthodoxy.org.